When I first started researching companies who provide author solutions services some years ago, Virtualbookworm (VBM) was one high on the radar. About four or five years ago, had you dropped ‘self-publishing’ as a keyword into a Google search or visited many self-publishing resources looking for information on self-publishing, you can bet VBW would have been pretty high up there in prominence. Try the same now and you will have to do far more extensive searches before you come across the name, VBM. Instinctively, when I came across VBM a few years ago, I held off reviewing them. In many ways, they should have been in our first batch of reviews in early 2008. Back then, they provided quite an extensive range of services and price-ranges easily reviewed without the need to spend a considerable amount of time looking at what they had to offer. I actually still have a book I ordered from them in 2008 as an example of their physical book product with an intention to doing a review back then. It never happened. For one, their services required a great deal of research and time, due to the wealth of information they provided, as well as the fact I had noticed a considerable slide off the top-notch of choices for self-publishing authors. I do not think a lack of a review did anything to help nor take away from what VBM had to offer self-publishing authors. I know I checked the books the amount of titles they had published on Amazon and it was in the very high hundreds. A couple of years on—I note that it shows 1034 titles. The Virtualbookworm site has been radically redesigned since I looked at it in late 2009, around the time I had planned to look at their services again and do a full review. I actually led with an article in the autumn of 2009 suggesting the review would come in the following few weeks. The reality was every time I started my review of them, I perceived a continual shift in the sands, and felt it pointless to focus on a company struggling to maintain its high-ranking position as an author solutions services, with all the changes of print-on-demand and digital publishing. Outside of the top four, we had services like Booklocker, Infinity and Authors online in the UK. VBW came in around 8 to 12th, a reasonable enough performance and representation. This was a time when we had less than half the amount of author solutions services we have now, and a time when services like CreateSpace were not offering online distribution beyond Amazon and companies like Dog Ear Publishing and Mill City were only finding their feet in the self-publishing world. So, who and where are Virtualbookworm now? “Then he [writer and founder] discovered self publishing and the endless opportunities it presented. However, such a venture requires countless hours of research of printers, proofreaders, artists, etc. And after publication, even more time is consumed trying to market the book. 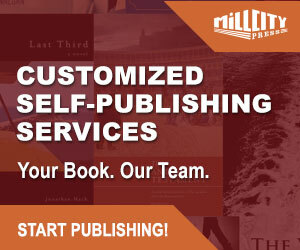 I have never once thought that a writer founding a service for self-publishing is entirely a sound foundation, unless of course that writer has had considerable experience in all the critical areas of the industry—sales, marketing, editing and production under the umbrella of a traditional publisher. I also do not think authors of any savvy will take to the description of VBW as being a ‘clearing house’ when it first was established. I asked who and where is Virtual Bookworm? The short answer is Bobby Bernshausen and Texas. Bernshausen is listed as the owner and president of Virtual Bookworm, founded in 2000. In light of the above quote from the Virtual bookworm site, I found it odd I could not find a single book by Bernshausen, or that I could not unearth any sources of business experience in publishing or marketing. I am sure it could be there—somewhere—but I certainly did not find it. For a writer running a business offering publishing services; I’m more alarmed that I cannot find a book by Bernshausen on Amazon or anywhere—not even on VBW! To be fair, we do not ask the same question of the CEO of Random House, HarperCollins, Macmillan or Penguin, but author solutions services are a different kettle of fish, and they are often founded on the reasons Bernshausen describes above—for me—it remains curious, but something I am happy to put to bed. Bernshausen has being doing this gig for more than ten years and it should have brought him a wealth of experience in a changing industry. He founded and presided over a company which was one of the earliest to dip its toes into print on demand publishing. The 2010 incarnation of the VBW homepage features one advertised book and large glaring icons about their services. This is a step backwards for VBW—the intent is clear—whatever they were, they are certainly driven now by attracting authors and present little for what their output might offer readers. “What makes Virtualbookworm.com different than other POD providers? VBW are based in Texas—their address is a post-office box—but they do offer a support centre driven by email and a ‘ticket’ formula to answer questions on their services and the process of publication. Beyond reading their FAQ’s, this is their preferred method of query and contact. VBW do offer a downloadable publishing guide to their services, an online bookstore, a latest release link at the bottom of their web pages, and a recently launched author community, which turns out to be essentially links to their Facebook and Twitter pages. However, for the first real time, we get a glimpse at a number of published titles with links directly to their online bookstore. From memory, their previous web design worked better. It was more classical and stylish, and the present graphic rendition is glary with its blue background and white text. The links provide a FAQ, information pages, as well as details of their publishing packages. VBM offer a bespoke service for authors wishing to truly self-publish by submitting their own completed files and can avail of design, edit and print services in preparing their book. Alternatively, they have a number of flexible packages. Softcover available on white or creme paper. Page counts as low as 48 and many as 828 pages. VBW list their packages in levels as to what is included. Each package includes the above basics as well as what is listed below for each individual level. Level B: Includes all of the basic services, Library of Congress number and three free books. Level C: Includes all of the basic services, Library of Congress number, five free books and professional cover. Level D: Includes all of the Level C services plus professional editing package (for up to 75,000 words). Level E: Includes all of Level D services, plus Bronze Marketing Package. If there is one thing I can remember from looking at VBW services over the years, it is the flexibility, but complexity of the packages and levels on offer, and again, I feel the latest incarnation of presented options for a self-publishing author is detailed, but somewhat confusing. Even for me—familiar with looking at many different companies and services—this really is a handful for any author even with a basic understanding of what it is they are looking for their self-publishing endeavours. The above level packages have approximately an additional 10% increase if you are intending publishing a hardcover (packages range from $430 to $2100) and about 15% if you want a combination of paperback and hardcover (packages range from $590 to $2225). I am not going to represent all the levels for hardback and combination (paperback & hardback editions) packages here for the purposes of this review. The marketing packages are included in the more advanced level packages, but can be purchased separately and are listed below. Gold Marketing Package: $1,300 (if purchased separately). This package includes a professional press release written and distributed to over 200 media outlets, review copies of your book sent to at least 15 major reviewers, a Personal Storefront for two years, placement in Ingram’s Advance Magazine, 500 four-color post cards, 500 business cards and 500 2X6″ book markers. VBW also offer colour (illustrated packages ranging from $625 to $2095) and an ebook package is $99 or $65 if purchased with a print option. The standard 200 page paperback from VBW retails at $13.95, about average for a trade paperback, with the average hardback ranging from $20 to $26 for retail purchase. VBW offers its authors a 50% discount on the listed retail price on the first order of paperbacks placed with them, and 30% thereafter. For hardback books, the author gets a 35% discount on their first order and 30% thereafter. Even at the initial 50% discount on an order of paperbacks, the author will have to fork out $7 ($6.97) per copy on a book costing $3.90 to print as listed by Lightning Source. That is almost an 80% mark up from print cost, and by my reckoning, way too much. I can live with an author solutions service marking up a modest profit take per unit of say 20%, but 80% is just out of the park. VBW pay royalties at 50% of net receipts to their authors. To clarify, net is after the print and retailers discount have been subtracted. “How much of a discount does the distributor and/or bookstores receive? VBW splits this net receipt 50/50 giving an equal share of $2.93. While it is not the worst deal I have seen from an author solutions service, it is by no means the best deal you will find out there. Royalties are paid on a monthly basis (others only pay quarterly or every six months) but the amount must exceed $25 before it is payable. This is a common clause and pretty much standard fare from most author solutions services. 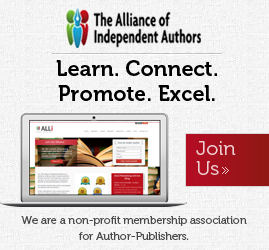 I have never really understood why some author solutions services choose to pay royalties on a monthly basis—it is just not necessary when most authors are simply not going to earn enough royalties through sales to warrant the time, effort and expense for a publisher to administrate this process. It is another sign of an author solutions service stretching itself in an area where there is no mutual benefit for anybody. Distribution is the standard online global listing and availability offered by most author solutions services using print on demand. However, VBW do offer a $100 warehousing option, meaning they will keep a very small inventory of books onsite to fulfil and ship same day orders to customers who purchase directly from the VBW online store. A returns program for books is also offered to authors as an option. This is a service VBW ran for quite some time and they were one of the earliest author solutions services to do so. It was withdrawn for a period of time due to it being ‘abused’ and has been recently reintroduced again. I have previously expressed my opinions on publishers and author solutions services using POD for print providing these returns programs to the retail sector. I will say again, I believe it is admirable some companies want to make POD produced books acceptable to the book retail trade, but ultimately, it is entirely at odds with an on-demand print and fulfilment model of business. A returns program would be of real use and sense if author solutions services offered it in conjunction with a committed short print run of books. VBW will provide a ‘true self-publishing’ service to authors. In other words, they will facilitate an author with their own block of ISBN’s and their own imprint and whatever bespoke services are required for a book project. 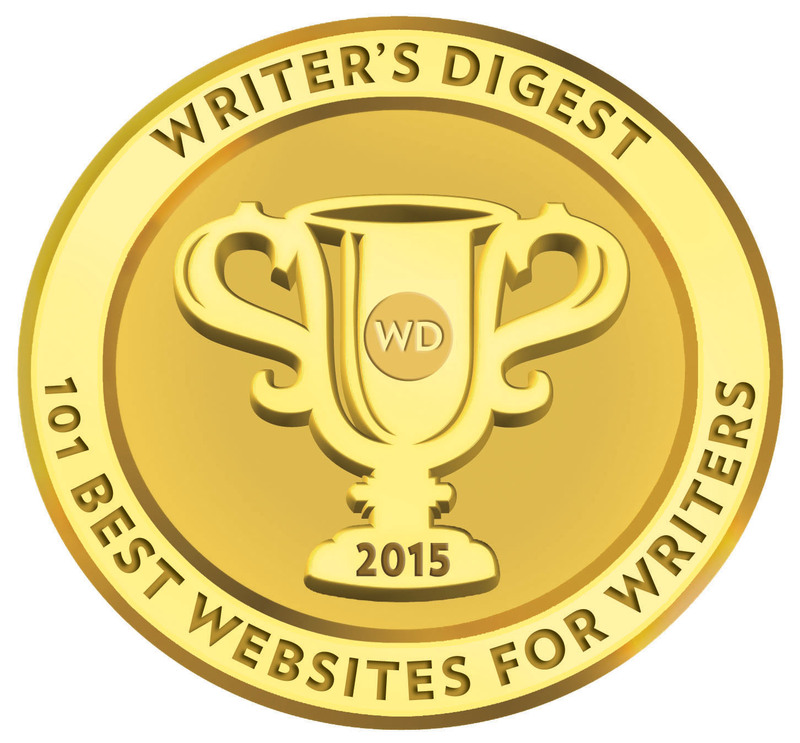 “Since some authors think true self publishing is when you do all of the setup, etc. yourself, we’ve decided to just put all of the services under one roof (er, website) for you. Instead of having to search for a cover designer, layout artist, editor, printer, etc., you can simply do it all here. Just let us know which services you need and how many copies you would like in your original order and we will send you an estimate. VBW offer their authors a non-exclusive contract, though it should be noted they require exclusive distribution rights for ebooks—meaning you cannot make your ebook for sale outside of VBW’s distribution channels. The contract contains a cancellation term of 90 days for the author, but this is subject to a $50 fee before the author can move their book to another provider/publisher. The term of the contract is for two years. I cannot fault VBW for aiming high and they offer a vast range of services and options many large competitors do not offer. I like VBW and what they do. The overall approach is sound and ten years as an author solutions service shows they understand the business and are doing a lot right. But sometimes when you offer so much in one place as a small operation, things can spread out a little thin in other areas. The lower priced packages promise a great deal, even offering editing and book cover design. I cannot help feeling it is a considerable stretch for an author solutions service to make a $600 to $800 package include a full cover design and an edit—no matter how basic the edit—at all the listed prices. At look through the VBW store reveals a mix of strong cover art and some pretty basic stuff. While the VBW book retail prices are competitive, I would find it hard to live with an author solutions service taking an almost 80% mark up on print costs when I was the one forking out the cash for the set-up. But, that is just me, and if an author can get over that, then VBW has a great deal to offer an author and a multitude of options. This is going to particularly work against VBW if an author is already considering submitting print ready files. Frankly, those authors would be far wiser going with CreateSpace or directly with Lightning Source who can do their distribution and fulfilment. The web page provided for authors is a very basic static listing for a book and I think it reflects the limitations of VBW’s own website design, which is flat and lacks any real dynamics, not to mention books. The contract on offer is reasonable, though there is one or two terms in there I would be uneasy about in the event of a dispute. Heck, I don’t fancy paying VBW’s court costs even when I’ve won a judgement! I am not sure how this term would play out with a judge in a court of law, but technically, I have signed the contract and I am bound by its terms. I stated at the beginning of this review that VBW were one of the earliest author solutions services I looked at several years ago. Back then VBW were very much part of the big six of options for an author considering self-publishing, but with authors becoming more savvy, business orientated and discerning, and with the rise in DIY services like CreateSpace and the direct option of going with Lightning Source, VBW seem less elevated on the map of self-publishing solutions. I have thought long and hard about what precisely it is about VBW that has changed over the past few years. Maybe it is my own self-imposed nostalgia or the fact that this publishing business as a whole changes and develops month to month, but VBW isn’t like I use to remember it. Reviewing VBW this week was like going back to a wonderful restaurant you remember from a few years back. The food is still good, the staff pleasant, and the prices ok, though the decor has changed a little, but overall, the experience is not quite the same. The restaurant is still were it always was in the street, but many of the other buildings have changed. If you weren’t absolutely sure that’s where it was, you’d has passed it by without noticing it. VBW need to go one of two ways. Either they need to strip away the complex levels in their packages and have no more than four basic packages with a list of add-on services, or they need to offer all services as tailored bespoke options for an author’s book project. Attempting to do all things for all authors in the way they are creates an illusion of an operation working on a grand scale and dilutes VBW’s ability to stress what their core strength is or should now be—working one on one with authors on a book project. Sometimes in life, less can be a great deal more. Wow, a very thorough review! Thanks for taking the time to do this — it will definitely be of help to authors trying to wade through all of the self-publishing options out there. Thanks DC, no, we don’t do snippets here when it comes to reviews. Most reviews are considered over a period of months, sometimes years. VBW was one of those. The actual work on the reviews can take several days, sometimes up to a week or two. We want to be sure we are giving a fair assessment. I published two successful books with Virtual Bookworm. I chose them for low-cost, high share of profits, and fast, efficient service. I remain very happy with them and use VB for my client book publishing projects too. I’ve written books since 1986 – mostly on golf in Scotland, England, and Ireland and mainly as a hobby, though some of the books have done well financially – through no fault of their own. When I read about the lawsuit against Author Solutions regarding royalties (a company associated with Author Solutions published my last four books), I became concerned and looked for another publisher. I’m not sure if I found VirtualBookworm.com on this site but I would like to comment on their services. VirtualBookworm.com, besides having a warm and fuzzy name, did a wonderful job on my latest book, The Secrets of Islay, which was released on January 5 (2015) and has already garnered good reviews. Bobby and his small team tolerated my many questions, did a great layout and made a striking cover, and kept the book production’s costs down, which was important since I’ll donate half the book’s proceeds (after expenses) to the local (Islay) high school’s biennial mission trip to a third world country. Their turnaround time was quick – took less than a month – and their customer service was outstanding. I recommend them highly. Now I wait for Steven Spielberg to call about a movie. And, yes, I do have a connection. But I have a problem here. With all this favorable appraisal coming from you, how come then that there is all these other reports and statements by various other people who have had past dealings and experiences with Virtual Bookworm, though many years old in many cases, all of which are BAD and most UNFAVORABLE? See the different reports on this thread, for example, http://absolutewrite.com/forums/showthread.php?t=962 You’ll find there claims and complaints of disturbing experiences by authors with this company and BOB, such as the following: there’s rampant NONE RECEIPT of royalty payments by Virtual Bookworm and BOB, or grossly delayed payments, underreporting by BOB & company of the number of books they sold, missing payments altogether on authors’ books sold, frequent difficulties by authors in communicating with this company, lack of response on their part to business inquiries or author concerns for weeks and beyond, and in general very poor quality of service, and a general exhibition of unprofessional, unreliable, even fraudulent, business profile. See, for example, Complaints #12, #13, #14, and #19, there. Please, my question is this. I’m utterly confused now. Can you give me some reason or explanation as to why there will be such a big gap of CONFLICTING DIVERGENT appraisals between what you say, and what these reports say? I’ll appreciate your HONEST response as this will help me tremendously in making a pending decision about picking a POD company to go with in doing a book project we have at hand right now. I have published two Art books with WBW ? Bob never got to see any money or report how many they sold . Excellent review! And, you are right; still too many options for a first timer or budget writer. Also, if I’m paying to get my book published, why do they (editors) have to approve it; not that I would write nasty trash? Bottom line: unless a writer hits the BIG TIME and sell hundreds of thousand copies, he/she won’t make a heck of a lot of money; maybe not even enough to cover the production cost he/she has to come up with to get the book published in the first place. I published several books w VBW, and a few with others. My best experience of all the PODs has been w VBW, and I plan to use them again. It’s been almost 10yrs, and I’ve never had a problem with them-ever.